The Harris Federation, which already operates several schools in Croydon, has started advertising for a head teacher for a primary school on the Purley Way, even though the school is not yet built and has not even been granted planning permission. There are serious concerns about the plans for the school, in particular surrounding the large intake of pupils Harris wants on a relatively small site, the number of car journeys such a school would generate, and the poor air quality along the four-lane A23 Purley Way where the school is to be built, opposite the Wing Yip Chinese supermarket. Such is the concern about the young children’s lungs that council planners have even proposed that pupils attending the school on the site would be taught in “hermetically sealed” buildings to avoid the worst of the damaging air pollution. The job ad was placed with The Grauniad just after Christmas, offering a “generous salary based on experience and expertise, plus Harris benefits”, which suggests that the successful candidate will get special discounts on fitted carpets. 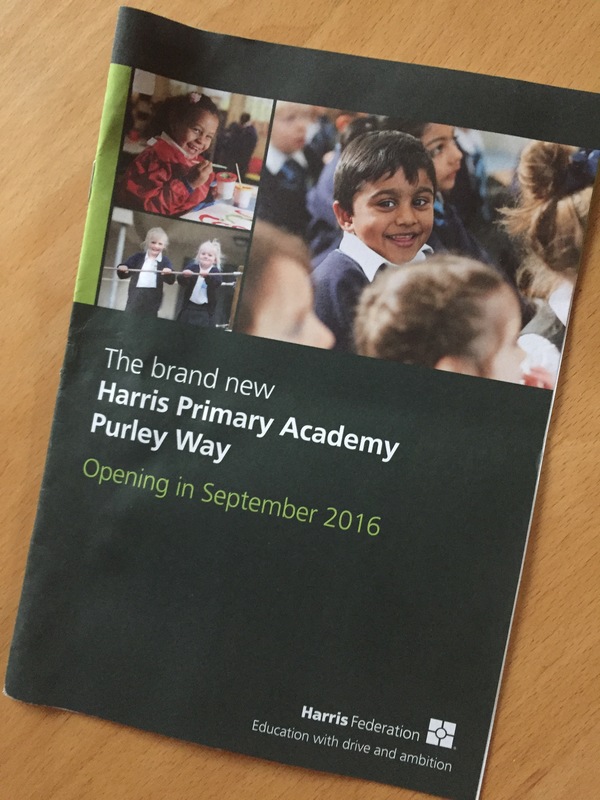 The advertisement states: “Harris Primary Academy Purley Way will open in September 2016 in high-quality temporary accommodation whilst our new build is due for completion in September 2017. As a new Academy, we will have a brand new school building and use the same approach to children’s learning in the early years as our sister school, Harris Primary Academy Haling Park. Notice that they don’t say that the new building will be “airy”. The advert also betrays Harris’s stubborn determination to have a primary school for more than 500 pupils, on the site of a school which previously accommodated fewer than 200 children. Clearly, when Harris do their calculations of how to make money from running state schools, economies of scale impact their bottom line. “This will be a brand new three-form entry academy, initially starting with Reception classes,” the ad states, overlooking the absence, as yet at least, of any planning permission for such a large school. It is entirely possible that the council may refuse planning permission for a three-form-intake school; would Harris settle for running a smaller primary school, more in keeping with what the site size would allow? With few suitable sites for schools in the town centre, the Harris Wing Yip Academy Primary, as it ought to be known, seems aimed at providing places for children who live well outside the immediate neighbourhood, and probably too far away to be able to walk to school. Unusually, for Croydon, the proposals were criticised by both Tories and Labour councillors at a pre-application hearing last year, and ward councillors from Waddon have now lodged formal objections about the scheme before last week’s deadline. “It certainly shouldn’t be a foregone conclusion,” Waddon councillor Robert Canning said of the granting of planning permission. “Councillor objections mean that the decision will be taken by the planning committee. Various concerns were raised at the pre-app hearing, not all of which seem to have been addressed in the actual application. “We’re concerned about the suitability of the site for the size of the proposed school, we have concerns around air quality on primary school children’s lungs, and about the potential for a problems with parking in local streets, as large numbers of children will be driven to the school from outside Waddon ward, as we already have a large number of primary schools to cater for local demand,” Canning said. “There’s also the lack of capacity on the bus network and concerns over the proposed park-and-stride use of the supermarket car park at Morrison’s at Fiveways. Let’s hope that all the candidates for the school’s headship are properly briefed about all these shortcomings with the school site by Harris before they decide whether to take the job, and all those “Harris benefits”. 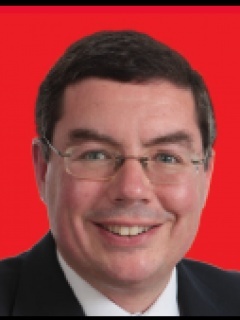 This entry was posted in Croydon South, Education, Harris Primary Purley Way, Planning, Purley Way, Robert Canning, Schools, Waddon and tagged Andrew Pelling, Conservative, Harris Federation, Labour, Purley Way, Robert Canning, Tory, Waddon. Bookmark the permalink. Shouldn’t there be a mandatory duty on ANY extremely badly placed primary school to issue a written health warning notice to prospective parents?Should not this be a duty on the new Public Health doctor advice structure? Parents in the US would undoubtedly take legal action against any school administration that tried to hide this. SILENCE IS NOT GOOD ENOUGH. Is a ‘hermetically sealed’ building healthy for children. especially in a winter colds or summer heatwave atmosphere ? Will the playground be hermetically sealed too ? Won’t all the children crossing Purley Way from Morrison’s car park be continuously stopping the traffic, and make congestion and traffic fume pollution even worse ? Teachers and ancillary staff are unlikely to live within walking distance of the school, and with very limited bus routes will be caught up in the traffic congestion in their cars – and will there be parking on site for so many ? But then, doesn’t Harris get whatever Harris wants, regardless – and would there be any transparency over the reason’s that children’s health and traffic problems were ignored, should the plan go ahead ? I’d be very surprised !